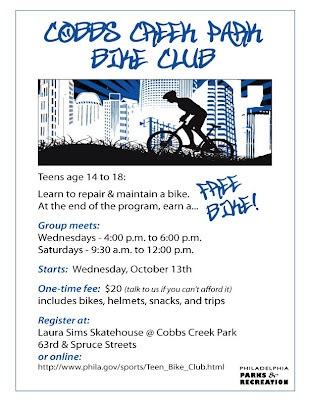 Greater Philadelphia Bicycle News: Calling all Cobbs Creek teens!!! Calling all Cobbs Creek teens!!! 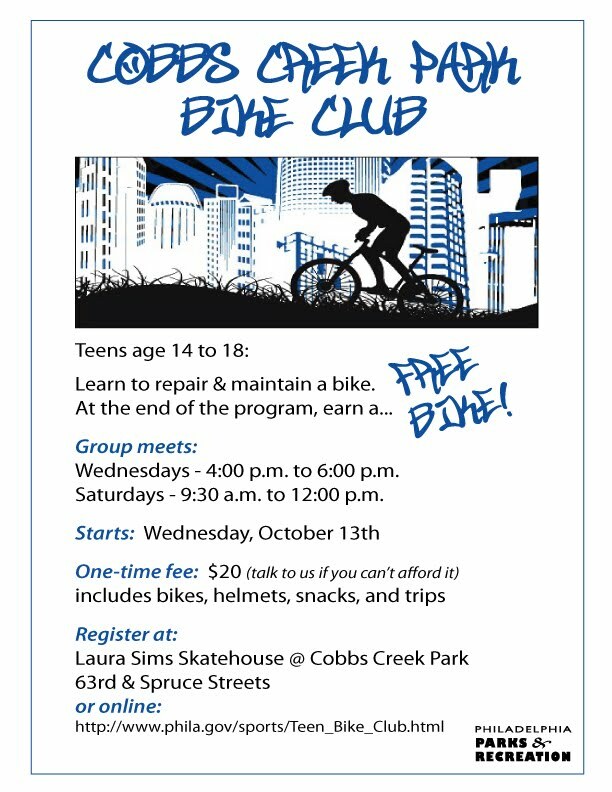 This fall, Philadelphia Parks & Recreation is hosting a bike club in the Cobbs Creek neighborhood. Parks and recreation has partnered with many local organizations including Neighborhood Bike Works and the Bicycle Coalition to get this project up and off the ground. Space is limited so sign up quickly!